The commentators of the Qur'aan say: "The 'remembrance of Allaah' mentioned in these Aayaat means the five daily prayers. If anyone is so busy in buying and selling, or with his daily work of earning a livelihood, or with his children, that he cannot perform prayers on time, he will be among the losers." Ibn Al-Qayyim explained: The person who abandons prayer will be raised with such a foursome because his neglect of player may be due to his involvement with his property, his country, his administrative work or his trade. Therefore, if he was involved with his property he will be ressurected with Qaroon; if with his country, then with Pharaoh; if with his administrative work, then with Hamaan; and if with his trade then with Ubayy bin Khalaf, the trader among the disbelievers of Makkah. Ibn Hazm said: "There is no greater sin after polytheism than delaying a prayer until its time has passed and killing a believer without a just cause." 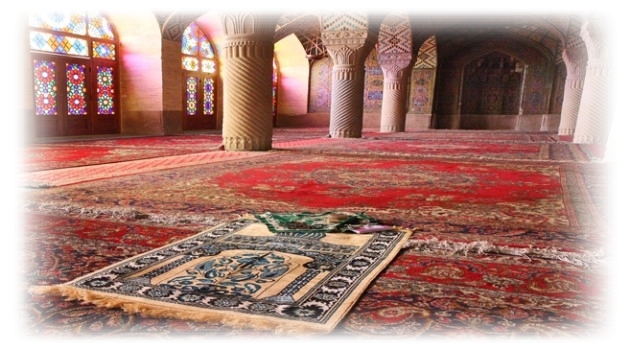 Ibraheem Al-Nakha`ee said: "The one who has abandoned the prayer has become a disbeliever." Aboo Ayyoob Al-Sakhtiyanee said something similar to this. Ibn Hazm writes conclusively: "It has come from `Umar, `Abdur-Rahmaan bin `Awf, Mu`aadh bin Jabal, Aboo Hurayrah and other companions that anyone who skips one obligatory prayer until its time has finished becomes an apostate. We find no difference of opinion among them on this point." This was mentioned by Al Mundhiree in AT-TARGHEEB WA AT-TARHEEB. Then he comments: A group of Companions and those who came after them believed that an intentional decision to skip one prayer until its time is completely finished makes one an unbeliever. The people of this opinion include `Umar bin Al-Khattaab, `Abdullaah bin Mas`ood, `Abdullaah bin `Abbaas, Mu`aadh bin Jabal, Jaabir bin `Abdullaah and Aboo Ad-Dardaa'. Among the non-companions who shared this view were: Ibn Hanbal, Ishaaq bin Rahwayh, `Abdullaah bin Mubaarak, An-Nakha`ee, Al-Hakam bin `Utaibah, Aboo Ayyoob As-Sakhtiyaanee, Aboo Dawood At-Tiyaalisee, Aboo Bakr bin Aboo Shaybah, Zuhayr in Harb, and others. Dhahabee, Imaam Muhammad bin `Uthmaan, KITAAB AL-KABAA'IR, (Engl. tr.) Mohammed Moinuddin Siddiqui, Dar El-Fiker, Beirut, Lebanon, 1993. Sabiq, As-Sayyid, FIQH-US SUNNAH, Vol. I, (Engl. tr.) Muhammad Sa`eed Dabas and Jamal al-Din Zarabozo, Maktabat al-Khadamat-e Al-Hadithah, Jeddah, Saudi Arabia, 1987.